Queen of the Clan: Ultimate Chick Flick Contest Results! As a general rule I don't hate Chick Flicks--I've just learned to approach them with caution. I enjoy watching strong characters tackle difficult problems while trying to build a relationship. I even like the emotional payoff at the end when the girl gets the guy or when a family is reunited. Still there are a lot of Chick Flicks I just can't stand. My biggest pet peeve is when the female lead is so flawed that I end up wanting to just walk away. The next one is the plot that could be solved by one, simple conversation or a call to the police. As you can tell, Chick Flicks and I have a bit of a topsy turvy relationship. So with that in mind here are my thoughts about the three movies I watched for this competition. I'd never seen this moving before, so I was looking forward to it. It took me a while to get into the movie, and I always felt a bit off throughout the whole thing. It had great dialog and powerful problems, but it just didn't do much for me. In fact, I was frustrated at how stupid and two-dimensional every male in the whole movie was portrayed. From the prankster husbands to the responsibility-dodging teens, not one male is portrayed as very useful or helpful. Then it hit me. The writers did this on purpose. The rest of the drama was so well done, the dialog snappy, and the story flowed even with the jumps in time (It was awesome how they used the holidays like that). The flat male characters were done on purpose. How many times in film have women been portayed this way? I'm not asking for a count but I'm sure is huge. The fact that this movie stood that on it's head was gutsy to say the least. So I took another look at the film. It was the Chick-iest of the three. It revolved around strong female leads who struggled through issues that tear at the core of most women: marriage, divorce, being a widow, starting a family, raising children, supporting a husband, correcting a husband, losing a child, wayward children, defining yourself, supporting your girlfriends . . . and for those of your who haven't seen this movie, yes all those topics and more are in here. It's powerful and funny and even though I didn't love the movie I enjoyed it and what it showed me about myself. I know. How can I possibly go from Steel Magnolias to Ever After? They're Chick Flicks on opposite sides of the spectrum. But I'm going to do it anyway. Don't get whiplash. I enjoy watching Ever After. It's light. It's funny. It's Cinderella-with-a-twist before Cinderalla-with-a-twist was all that and a bag of chips. I'm completely expecting them to remake it as Never After which would be Cinderella-with-zombies. They could even keep the crying Spanish princess and all the scenes in the ruins. There's a part of me who would love to see what Leonardo Da Vinci and Danielle could do against a horde of zombies, but I digress. I like the movie. I like the character of Danielle, and even though I'm not a fan of the "big lie" plot, this one worked for me. It's a simple, straightforward, comedy romance with a enough jokes and twists to keep me interested. I have a confession. I've read Pride & Prejudice and liked it. Jane Austen is a master of dialog. I was amazed at how she could compose words in such a way that I knew exactly who was speaking even in a room full of people. She weaves layer upon layer upon intrigue upon suspicion upon insult upon double-meaning upon completely-innocent-accident upon political-positioning and makes it all work. And of all the adaptations of the book, I like this version the best. Even at five hours long. It stays fairly close to the original. The costumes, the setting, and the cinematography (although not quite as dramatic as the Keira Knightly version) was all impressive. I enjoy how the story starts in a small, rural town and then expands out to the surrounding estates, all the way to London, and beyond to Pemberley--the world at our fingers. Then something snaps and the whole story collapses in on itself, characters tumbling together, storylines crashing into each other, condensing, shrinking back to a single manor, a single family, and the great loss for Elizabeth. It's heartbreaking. Slowly, the story simmers. Letting us feel the ache. Absorb it. Taste it. Only a five-hour movie has enough time to do this justice. Then the movie leads us out of the darkness only to rub our faces in Lydia's pompous, blissful, ignorance and her Mother's gleeful approval. But it all turns out in the end, which is a great emotional payoff. Jennifer Ehle . . . I mean Pride & Prejudice. What do you think about my hubby's assessments of the movies? Do you think he chose the best Chick Flick? The Red Box rental winners are . . .
Lisa Swinton won 2 free Red Box rentals. Congrats, ladies! I'll send you the codes via email. And thank you to everyone who nominated movies! 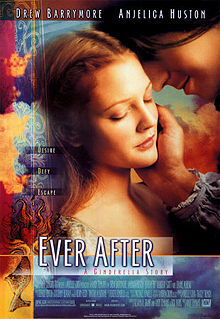 Ever After is one of my favorite movies. I think it was the first movie with Drew Barrymore where I actually liked her (not counting ET). 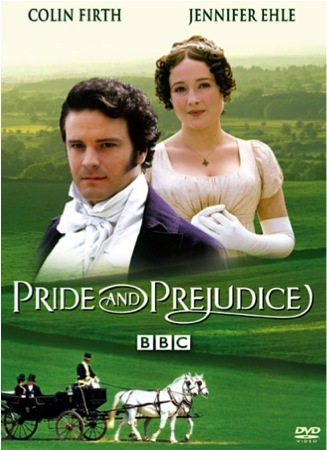 I've never seen this version of P&P, but 5 hours certainly qualifies it for winner. 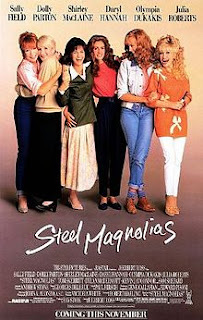 I don't remember liking Steel Magnolias at all, but loved Ever After. Good choices. I hadn't thought about the two dimensional men in Magnolias. I've only seen it once, a long time ago. Good choice on the final one. Congrats to hubby for going through hours of this and then posting about it. Good choice. THANK YOU!! The 5 hr P&P is our standard New Year's Eve movie. Our whole family loves to mimic Mrs. Bennet's "Mr. Darcy". You've made me want to watch Ever After again. I haven't watched it in so long. They were great reviews. hooray! waves at you both and hugs too! I knew I liked John for a reason. :) He picked well. Ever After would be second, but not even a close second, in my humble opinion. Fun. Now I might have to make my hubby watch all three and get his take. Heaven knows I've watched my share of sports movies. "Adrian!" Well I'm just thrilled he liked Steele Magnolias since that's one I recommended. It's one of my favs. Great reviews, John. I saw Steel a very long time ago and can hardly remember it. But... Valerie and Monique!!!!! You need to drop everything and see the BBC version of P&P! Today. He definitely chose well! And that IS the best version of Pride and Prejudice. Loved all the reviews.